How do I know if a shoe fits? Use this converter to calculate the following sizes: EU, German (DE), British (UK), American (US), Brazilian, Japanese (JPN), Korean size, Australian (AU), Brannock and Mondopoint. You can enter centimetres or inch to calculate the perfect fit. You can use this sizing tool not only for adults but also for children. Use this guide on how to measure the length of your feet. or the shoe size conversion charts further down on this page. For easy size conversions just look up your foot length in the table below. 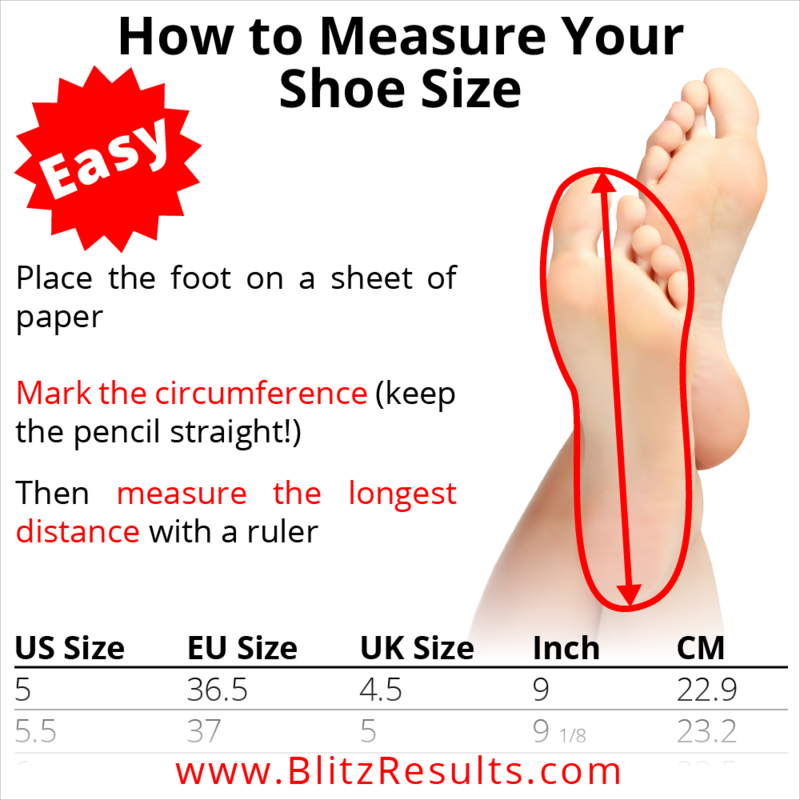 To answer these questions, either use the above conversion chart (which helps you to convert, for example, a UK size into a US size) or the above shoe size calculation tool (which tells you how many inches or centimetres a shoe size is). To find your shoe size, select the respective column with the size you already know (i.e. if you know that you are a size 8 in U.K. sizing, then pick the “UK” column), and look for the row with your corresponding number (in this example: 8). Then, move horizontally with your finger to the column which corresponds to the size scale you are looking for (i.e. “US”). If you are looking up your foot length in centimetres to find your shoe size, please use the closest number in centimetres that is equal or slightly longer than your foot. Please see shoe size charts for children here. The UK uses the Barleycorn system. The scale starts at 12 barleycorns, the smallest number, which is known as children’s size 0. After 13, the scale moves on to adult size 1, which is equivalent to 26 barleycorns. This system also calculates by means of a formula, which in this case uses the length of the “lasts”. Please note whether the foot was measured in centimetres or in inches. Two formulas are available: one to calculate children’s sizes, and the other for adults. For purposes of calculation, the bar length is used in inches as a basis. Make sure you measure your feet in inches or centimetres. The system used in the UK differs from the US system as well as that of the EU (EURO). In this chart, you can find the correct correspondents to an English one. In contrast to the European shoe system, you will also find half numbers here. UK shoe sizes differ from US shoe sizes although both are based on the same system (Barleycorn). EU stands for the European Union. EURO-Sizes are normally abbreviated as “EU” and are used throughout Europe, mainly in Germany, France, and Italy. Do you want to know more about European Clothes Sizes? The following brands are European and therefore use EURO-shoe size as a standard: ara, Arcopedico, Bally, Birkenstock, Birki’s, Bottega Veneta, Buffalo, Camper, Dansko, Donatella Versace, ECCO, Eric Michaels, Finn Comfort, Fly Flot, Gabor, Geox, Giorgio Armani, Gucci, Helle Comfort, Jomos, Josef Seibel, La Plume, Lloyds , Louis Vuitton, Lowa, MBT, Meisi, Mephisto, Naot, Reiker, Romika, Salamander, Saucony, Schürr, Sioux, Spring Step, Superga, Think, Völkl and Zwick. Most international shoe size charts are based on the Brannock system. It is used in America, Canada, Australia and New Zealand for men and women sizes. The Brannock system can be applied to all different types of footwear: Boots, Sandal, Running Shoes or Loafers. It was invented by Charles F. Brannock, who had developed a device for measuring the length and width of a foot in inches in the 1920s. Foot length is used as the basis for this system, and two barleycorns are added to the shoe number. There are different calculation formulas in this system for women’s, men’s and children’s shoe sizes, and each group has its own zero point. Most other systems do not take gender into account. A special feature of American size system is that, unlike the European system, they come in half sizes. Proper sizing: Measure your foot length by placing the foot on a sheet of paper. Mark the circumference (keep the pencil straight!). Then measure the longest distance with a ruler and convert using one of our calculators. Determining the length of your feet is easy. The best time to measure is the afternoon or evening when your feet have flattened out. If you measure your feet in the morning, they will be smaller, which would give you the wrong size and then you would buy shoes that were too small. Put your feet on a piece of paper. Stick the paper to the floor with some tape so that it doesn’t slip. Draw around your foot with a pen, keeping the pen straight (at 90° to the paper). Measure the longest distance from the heel to the tip of your big toe. Enter the measurement into the calculator or compare it with the respective shoe size conversion chart. Pro tip: If one of your shoes is always too tight, measure both feet and then use the length of the largest foot to calculate the correct size for your footwear. If the two lengths vary a lot, you should consider getting your shoes made specially or using special insoles. For instructions how to measure children´s feet, please see here. If you need to know more about other clothing sizes, please see here: pants sizes, women’s clothing sizes, men’s clothing sizes, or suit sizes. If you want to convert women to men’s sizes in the U.K., this is a piece of cake. Just add at least a 1/2 value to your UK women’s shoe size to get the corresponding men’s shoe size. Respectively subtract at least 1/2 to your men’s shoe size number to get your women’s size. It gets more complicated if you want to convert, for example, European men’s shoe sizes to UK or US women’s sizes. As always, this is not an exact science, and it may well be that the men to women conversion works very differently for your preferred brand. However, in some cases, your UK men’s size is the same as your women’s size. What can be said is that men’s shoes are generally a bit wider than women’s. So, you may want to choose men’s shoes that’s a bit smaller than you’re typical size if you are a woman. Real bargain hunters have already figured that the children’s section can hold really great shoes for adults but they have been “declared” youth shoes. But what length do you wear in children’s shoes? With the chart below, you can convert, for example, your men’s shoe into youth shoe size. It also helps you answer the question what a women’s size 7 is in children’s sizes. If you wear women’s shoes, you can use this simple calculation: subtract 1 from your UK size number and you get the corresponding youth extent. E.g., a UK women’s 5.5 would be a youth 4.5. For a conversion from youth shoes to men’s, you need to add roughly around 1 to 1.5 to your current shoe size value. This means that a UK youth size 3 would equal a UK men’s size 4. In addition to the usual shoe largeness specifications regarding the length of the shoe, some brands also indicate the width of their shoes. This is because shoes that are too narrow or too wide can lead to foot problems. While everybody knows their own shoe size. Hardly anybody knows their shoe width, even though there can be huge variations. Many people require shoes with an extra wide fit. To determine, what foot width you have, place your foot on a piece of paper on the floor. It’s best to ask someone to draw the outline of your foot with a pen. Repeat the same procedure with your other foot. Then use a measuring tape or a ruler to measure the widest portion of both drawings. Subtract around 1/3 of a centimetre (0.3175 cm) from the largest number. This number is your foot width. And how does the foot width now translate into shoe spread? You can find different shoe width scales on the market. It is either indicated by the marks M (for medium) or W (for wide) or there are classifications of the shoe width from AAA (smallest width) to EEE (widest width). Unfortunately, there is no uniform standard here and you have to look at the manufacturer’s website to see how many centimetres or inches of foot width i.e. a BBB corresponds to. Normally, however, “medium” corresponds to a “D” for men and a “B” for women. Extra wide fitting shoes are usually marked with E to EEEEEE (for ladies) or F to H (for men). The biggest problem with buying shoes for women or men is that although sizes are theoretically standardized, each country calculates a little differently. Many manufacturers also deviate slightly from the standards. Some brands prefer to make shoes that are a bit more comfortable or also suitable for wider feet, so they secretly increase the measurements. Brand X shoes are usually smaller than those of brand Y, and differences in production also occur. Due to the fact that the materials used (fabric, leather, leatherette, rubber, etc.) are very flexible, producing shoes to exact specifications is very difficult – or simply too expensive for the manufacturers. So, make sure that you try different sizes! Another big problem: the extent of a pair of shoes doesn’t only depend on the length of the foot: the shape of the foot is also important. If the shape of the foot varies from the norm (wide feet, fleshy feet, high arches, flat feet, over-pronation or splayed feet) then trying out a different shoe size is necessary. While foot length is observed in almost all systems, the width of the feet is usually neglected. There are big differences due to the fact that country-specific formulas are used. In addition to the reference value for length, the unit used as well as the zero point also play a big role. Want a perfect fit? Then your footgear must be tailor-made. 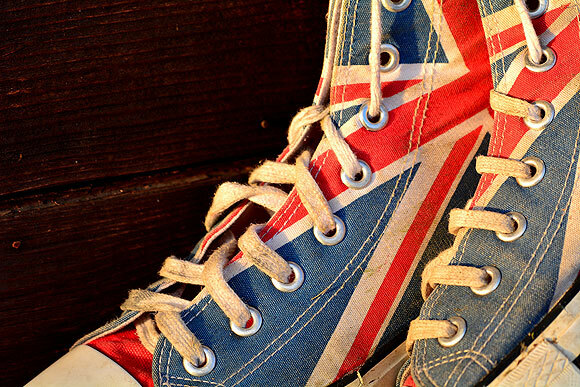 Interesting fact: the average U.K. shoe length for men is 9 and 6 for women. 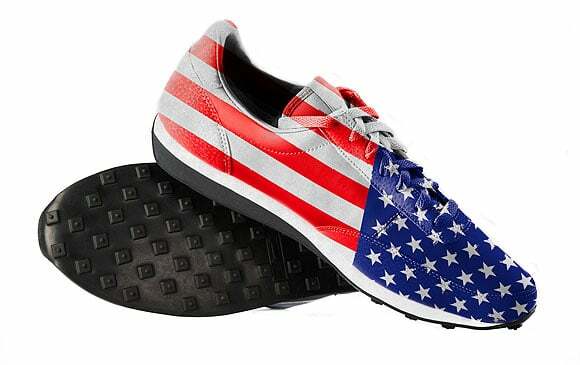 On the other hand, the average shoe size for men in the U.S. is 10.5, and for women, it is 9. Only 40 years ago, our feet were smaller (by an average of two sizes!). The cause for this might be the growing obesity among our population. Consequently, and the feet compensate through spreading. Just think how many steps you take in a single day. Our feet are the probably the most heavily stressed parts of our bodies and a lot less robust than many people think. 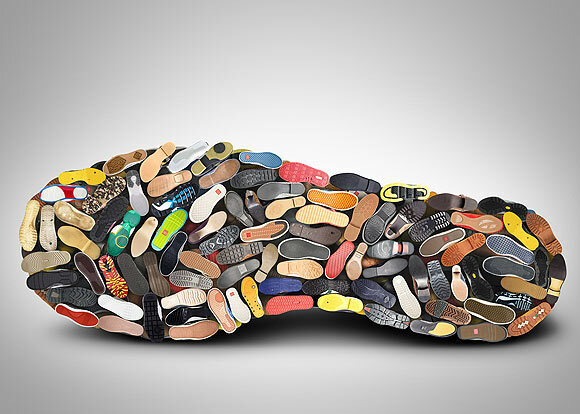 Footgear that is too tight isn’t just uncomfortable, they may also be harmful footwear. Having the right footwear with a proper sizing plays an important role in preventing painful deformities and other orthopedic problems such as “hammer” toes or a twisted big toe. Also, it is very important to choose the right footwear for the right occasion: while Sandals are great in Summer, they are often not suited for longer walks. Unfortunately, different size systems are in use worldwide, so a comparison and simple overview of the different sizes is, therefore, difficult. 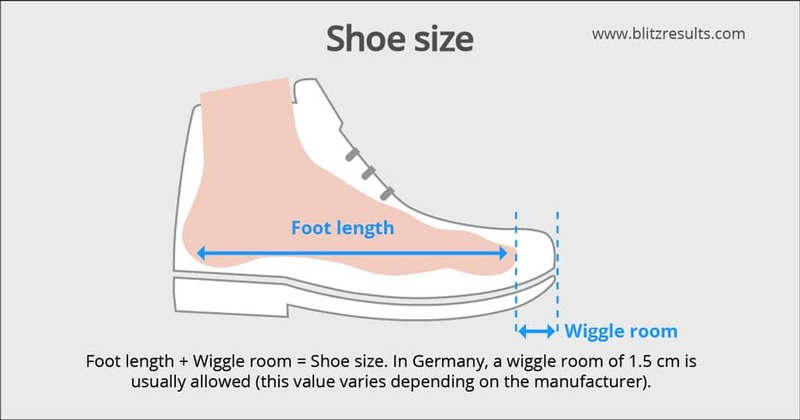 The sizing systems in different countries only have one thing in common: The basis is always the foot length. 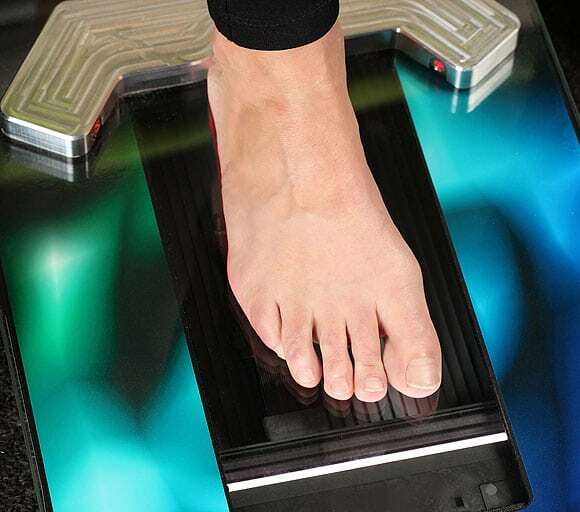 The most accurate method of determining one’s shoe size is the measurement of foot length using a scanner. The scanner produces a precise image. However, the scan costs money and is therefore usually only undertaken by professional athletes or ambitious amateur enthusiasts. For menswear or womenswear: Most size systems are based on foot length. Depending on the system, this can be the average length of the foot, the inner length of the shoe or the length of the “lasts” used to make shoes. The length of the lasts is the simplest for the manufacturers, so this is often used. A “comfort allowance” is added to the length of the feet before the size is calculated. In Europe, this is usually 1.5 centimetres (US – 0.5 inch) but it really varies from manufacturer to manufacturer. Paris point: A “Paris point” or “Parisian stitch” is most often used in Continental Europe. A Parisian stitch corresponds to 2/3 centimetres and there is a difference of 6.667 millimetres between two stitches. In contrast to US or UK, the Parisian stitch does not have intermediate numbers such as e.g. 9 1/2 or 10 1/2. Since there are no half figures, the conversion of European into international sizes is often very difficult, because a length smaller or larger can be designed due to rounding differences. For this reason and depending on the manufacturer, this can result in great differences, since different reference values and varying increments can lead to considerable deviations in size. Some manufacturers therefore also specify an extra millimetre size of the shoelace length. If one knows the length of their feet, they should follow this information. French and Italian footwear sizes are based on European sizes (EURO). However, the shoes are a little smaller. Therefore, you should buy slightly BIGGER shoes in France or Italy. Barleycorn: Another unit of measurement goes by the name of Barleycorn. A “barleycorn” is a third of an inch – 8.46 mm. This system also has half numbers and is used in the United Kingdom and the United States. Metric system: Metric measurements are shown in millimetres and centimetres. The shoes are usually scaled in steps of 5 mm. Metric sizes are used predominantly in the Mondopoint system and in Japan. A wide range of different systems and the various measurements used make it easy to become confused, so it’s always best to measure your feet and work out the size before buying new ones. Most length systems are based on the length of the feet. The most important tip for buying: try them on, try them on, try them on – shoes should fit perfectly. Remove the footbed: Place it on the floor and put your foot on top of it. You will be amazed! Because it provides first indications of how well the shoe fits in length. This means that the width of the foot cannot be deduced one to one, as the interior of the shoes is usually wider than the footbed. Check the front area: The front area is particularly important. It may happen that you put on footgear of your size, but they are too tight in the front area. In this case, the height above the instep may be insufficient. The leather usually yields slightly. But, of course, you should be able to take right off in your favourite shoes. There should be approximately one inch of space between your toes and the tip of your footwear. Ball and heel: The shoe must sit firmly at the ball and heel. On the heel, you should have a minimum amount of slipping – footgear that rides up and down when you walk is too large. Especially with higher heels, the heel must not wiggle, otherwise, you are in danger of tipping over. A shoe that fits, holds the foot firmly, especially in the ball area, the widest part of the foot. Feet expand during the day. Therefore, you should buy in the afternoon or evening. If possible, wear regular socks. Particularly thick or thin specimens can falsify the result. Sizing system are only there as a guide. Even if you choose shoes in your correct number, they may not necessarily fit. Even specimens of the same brand may be different. Always test different sizes of the model of your choice. Shoes are only comfortable if they fit properly. Take the time to find the right fit. Never buy footgear that “just about” fit. Don’t just try on one of the shoes in the pair, but instead, always try on the left and the right shoe. Take your time having a look through the shop. Also, use the stairs. Make sure that you have 1 to 1.5 centimetres of wiggle room when rolling your foot in the front part of the shoe. This rule does not apply only in the case of high-heeled shoes, in which case a slipping of the foot must be prevented by a firm support. In any case, test models from different manufacturers. Some brands are made wider or narrower. A correct width, however, is just as important as length when it comes to optimal comfort. If you have narrow feet, you should not choose a smaller shoe size, but go for a brand with a narrower fit instead. The materials used are also of great importance. Materials such as rubber, leather, artificial leather or fabric stretch in different ways over time. This also affects the fit. Women in particular often buy small shoes. The reason: False vanity and outdated beauty ideals. Some manufacturers react to this behaviour and offer, for example, an actual EU shoe size 40 as a size 39. However, not all companies do so. Wear your footgear only one day long: Closed leather boots like Oxfords should dry 24 hours after wearing them all day long. Otherwise, they widen, and white sweat marks appear. Always open and close your laces and use a shoehorn: Opening the laces correctly and using a shoehorn prevents damage to the heel area. 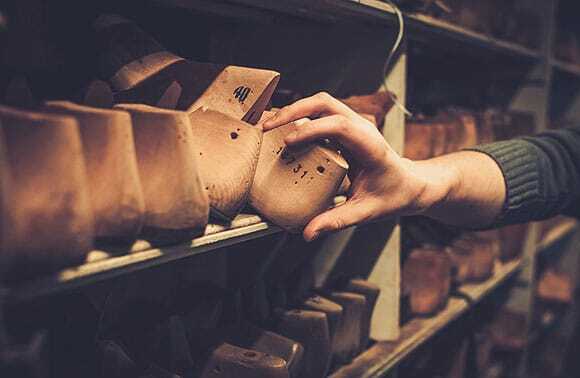 Shoetrees: Made of untreated wood are preferable as they absorb moisture from the shoe. Be careful not to use oversized shoetrees as damp leather will stretch. Impregnating: Impregnation should be carried out before the first use of any other care product. This means that the impregnation can act optimally. Ideally, impregnate 1-2 times directly after purchase. A proper shower: If leather shoes are particularly dirty or white sweat marks have formed, only proper washing can help. To do this, wash from the outside with warm water. If available, with leather soap. Then let it dry slowly. Then treat with suitable care products. Allow to dry slowly: Stuff shoes with newspaper and let them dry slowly to avoid cracks in the leather. Do not place wet leather boots under the heater. Polishing: After the care products are dry, smooth leather can be polished with a horsehair brush or a soft cotton cloth. Care cream or better wax for smooth leather shoes? The longer the cream or wax absorbs, the more work-intensive the polishing is, but the shinier the shoes shine afterwards. The cream absorbs faster and provides a silky matt shine. Wax adheres better to the surface and thus allows a stronger shine. Waxed shoes should also be cared for from time to time with creams, as the cream penetrates deeper into the leather. Cleaning the inner sole: An inner sole made of leather can be cleaned with warm water and leather soap. Then dry it slowly. This avoids unpleasant foot odour. Loops and holes: Treating them with Vaseline once in a while makes them last longer. Soles: Leather soles can be treated with leather oil. It is important to take care that the seams and the edge are left off, as the oil can solubilize adhesives. Pro tip for cleaning sneakers: Scratches on rubber surfaces are best cleaned with a nail varnish remover and cotton cloth. Toothpaste and a toothbrush are suitable for rough surfaces, for example at the bottom of the sole. Simply scrub over the dirty areas with a toothbrush. Storage: During the seasonal break, winter or summer, footwear should be kept dry and airy, for example, in a cotton bag. Caution: Keeping them in an airtight box may cause mould. The UK uses the Barleycorn system. The scale starts at 12 barleycorns, the smallest number, which is known as children’s size 0. After 13, the scale moves on to adult size 1, which is equivalent to 26 barleycorns. This system also calculates by means of a formula, which in this case uses the length of the “lasts”. The system used in the UK differs from the US system as well as that of the EU (EURO). Most international size charts are based on the Brannock system. To determine your shoe size, measure your foot length by placing the foot on a sheet of paper. Mark the circumference (keep the pencil straight!). Then measure the longest distance with a ruler and convert using one of our calculators. To determine your foot width, draw the outline of each foot on a piece of paper. Then, use a measuring tape or a ruler to measure the widest portion of both drawings. Subtract about 1/3 of a centimetre (0.3175 cm) from the largest number, and the answer is your foot width. If you want to convert women to men’s or children’s shoe sizes in the UK system or across international sizes, you need to refer to a conversion chart (as provided above). However, this is not an exact science as the parameters of a conversion chart may work differently for your preferred brand. 17 How do I know if a shoe fits?